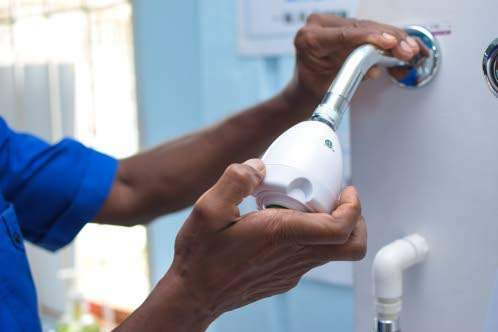 Staci Ann Williams, a resident of Portsmouth in Portmore, St Catherine was constantly faced with high water bills; however, today she is happy that the bill is moving in a positive direction, after she installed a high-efficiency shower head received from JN Bank under JN’s Water Project. Williams, who lives with her extended family of 11, said that her family’s water bill was usually $15,000 to $16,000 monthly. However, with the installation of the device about three months ago, the bill has come down by approximately $2,000 per month.